Hancock Prospecting chair Gina Rinehart remains Australia’s richest person despite the fall in iron ore prices during 2018. Rinehart’s fortune stands at $US14.8 billion ($20.6 billion) to begin 2019, according to the latest Forbes rich list for Australia. In March last year, Rinehart’s wealth had reached $US17.4 billion, but iron ore prices have dropped in the time since. The major contribution to Rinehart’s fortune continues to be the Roy Hill iron ore operation in the Pilbara, Western Australia. “The mining magnate is also Australia’s third-largest cattle producer, with a portfolio of properties across the country,” Forbes stated. Rinehart is followed by Harry Triguboff ($US9 billion) and Anthony Pratt ($US6.8 billion) in the top three. Mining, as usual, is well represented on the annual Forbes list. Fortescue Metals Group chairman Andrew Forrest claimed seventh position with $US4.3 billion, a slight fall on the $US4.4 billion in March 2018. 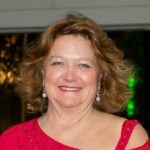 Gina Rinehart’s children, as equal beneficiaries of the Hope Margaret Hancock Trust, are 11th on the list with $US3.1 billion. The trust owns 23.45 per cent of Hancock Prospecting. Mining mogul turned politician, Clive Palmer, rounds out the top 20 with a $US1.8 billion fortune. Angela Bennett is the final mining-related figure to appear in this year’s top 50 at 24th spot with $US1.65 billion.